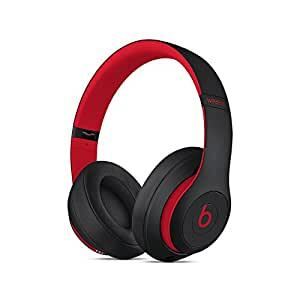 Beats Studio3 Wireless Headphones deliver a premium listening experience, with Beats Pure ANC (Adaptive Noise Cancelling) to actively block external noise, and real-time audio calibration to preserve clarity, range and emotion. They continuously pinpoint external sounds to block while automatically responding to individual fit in real time, optimising sound output to preserve a premium listening experience â the way artists intended. Take calls, skip songs, control the volume and activate Siri using the convenient multifunction on-ear controls. The Apple W1 chip offers Class 1 Bluetooth connectivity to seamlessly sync to your devices, so you can easily move about, keep the music going and stay productive all day.